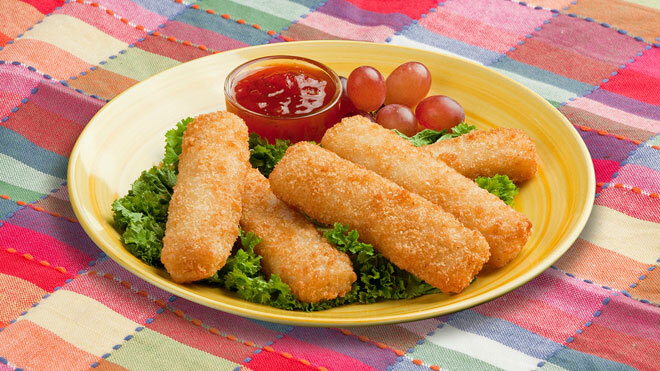 The difference between Japanese panko and regular breadcrumbs is that panko crumbs are made without crusts. 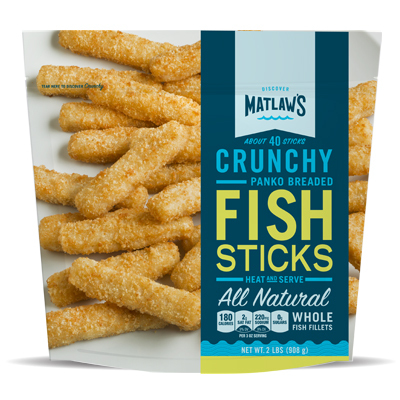 That's why our all-natural, wild caught Panko Breaded Fish Sticks (cut from the whole fillets!) have such a light, flakey crunch. To bake if frozen: Place squares on crumpled aluminum foil in a 425F oven for 18-21 minutes. To bake if thawed: Place squares on crumpled aluminum foil in a 375F oven for 15-18 minutes.